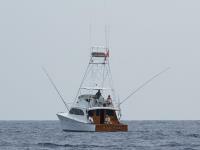 Looking for a luxury sportfishing charter on the Big Island’s Kona Coast? The Kila Kila is a spectacular 53-foot Merritt. 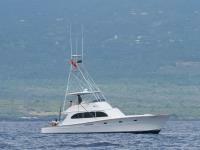 Not only does the vessel have amazing features, but an enviable history as well, such as the record of the largest bluefin tuna ever caught in the Bahamas. The Kila Kila also had significant Hawaii tournament wins. The Kila Kila boasts two state rooms with bathrooms and a full galley kitchen with a spacious couch area. Other features include an air-conditioning system, TV, and Koa wood throughout. For full-day trips a delicious seafood platter with unique styles of poke and peel & eat shrimp is included! 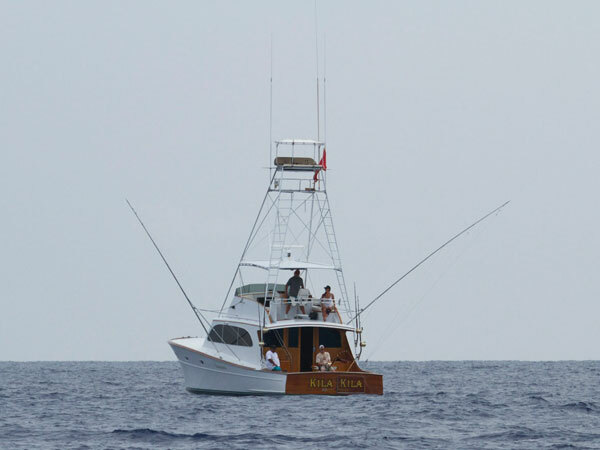 The Kila Kila departs from Honokohau Harbor, the closest destination to "Grander Alley," the best fishing spot on the Kona Coast. 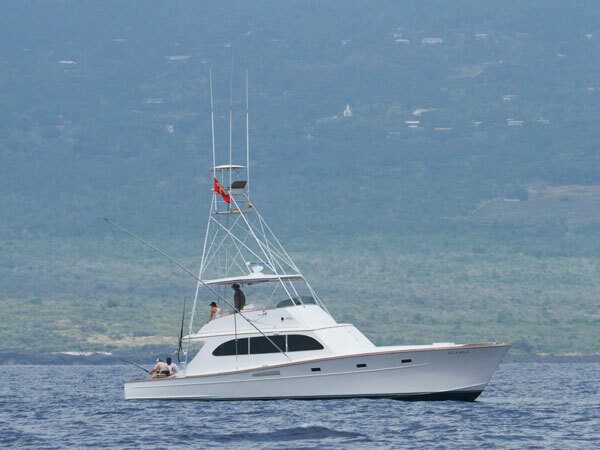 Make the most of your Hawaii big game fishing adventure and treat yourself to comfort and luxury on board the Kila Kila. The Kila Kila is a 53-foot Merritt featuring dual Cummins 903 TI diesel engines at 500 horsepower each.